September 9 is the day on which Roland fans around the world celebrate one of the greatest drum machines of all time: the TR-909. It’s not clear how 909 Day began, but like Star Wars Day (“May the 4th be with you”) the unofficial celebration has gone from an organic fan-led tribute into a marketing opportunity used by Roland to sell more gear. The only catch is, the TR-909 was discontinued in 1985, meaning that 909 Day has traditionally been as much a day of mourning as jubilation. Yesterday, Roland changed that. The Japanese company launched over 30 new products as part of an official “909 Day Celebration,” drip-feeding the announcements over a marathon 24-hour live stream event. It was overly long, and lacked the slick professionalism of an Apple event, but it gave fans a new 909 and much more. While Roland’s new products attracted the usual criticism from gear junkies – namely a lack of real analog technology, ugly design choices and the standard complaint “it looks like a toy” – there was a lot for experienced producers and casual music-makers to be excited for in the company’s line-up. 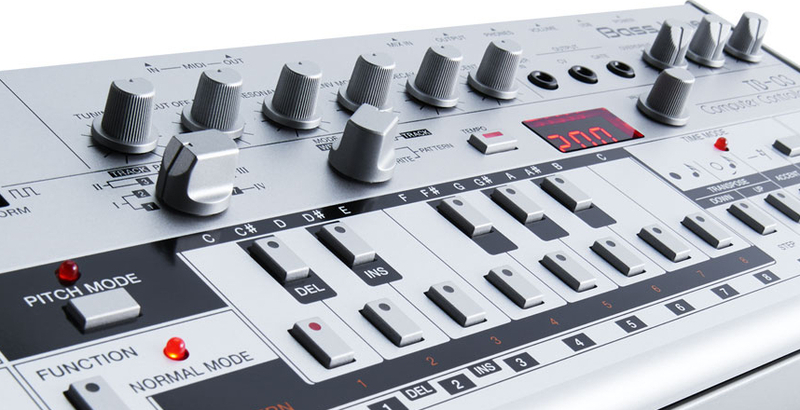 The main focus of 909 Day was, of course, Roland’s new TR-09. The company hammered the iconic nature of the original drum machine down our throats a little too hard during the new product’s reveal, showing a cringeworthy collection of recorded 909 tributes from almost exclusively male legacy techno and house producers. But the device itself is a thing of beauty. It’s hard not to feel a wave of borrowed nostalgia on seeing the classic orange and grey design again, even if it’s much, much smaller than the original. First, the negatives. It uses Roland’s “Analog Circuit Behaviour” technology, which means the sound is not real analog but a digital emulation. 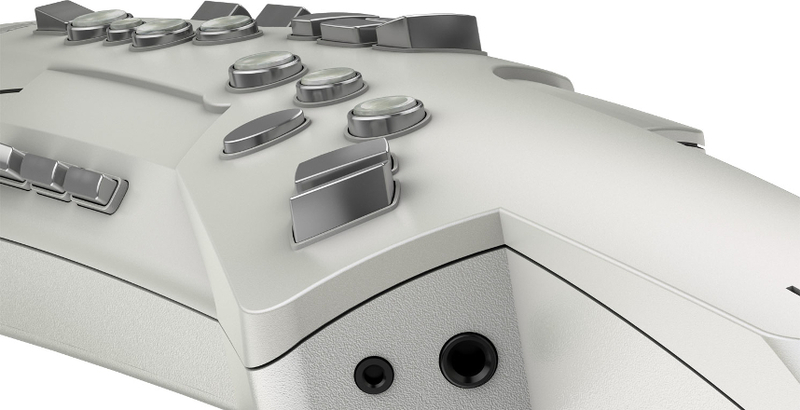 The knobs are tiny, and it doesn’t have individual audio outs like the original did – only four audio channels over USB. But that’s about it. I spoke to XL Recordings artist Jack Adams aka Mumdance, who’s had the unit for several weeks to create presets for Roland, and he tells me that the benefits far outweigh any disadvantages. Another improvement is the device’s new pattern switching mode. If you were playing drum patterns live on the original 909, you weren’t able to switch to a new bank without stopping the pattern first. Adams tells me that while this quick switching isn’t a problem for 909 master Jeff Mills, the ability to change patterns on the fly makes a lot of difference. If you already own Roland’s AIRA TR-8 drum machine, which has all the original 909 and TR-808 sounds, the TR-09 might be a little unnecessary. But portability is likely to be key for many musicians. If, as Adams says, it’s the perfect drum machine for live use, we can expect to see a lot of of these things on stage and in the DJ booth in the near future. The only thing more exciting for techno and house fans than a new TR-909 is a new TB-303. 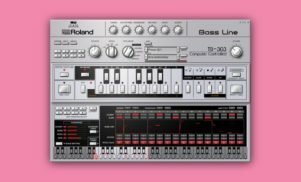 Roland’s famous bassline synth has been unavailable since 1984, yet it’s had more impact on dance music than any other device made since, spawning acid house and finding its way into everything from techno to noise music. Even in 2016, it’s hard to visit a club and not hear its trademark squelch (or at least a derivate of the sound) at least once during the night. The new TB-03 isn’t the first time the classic instrument has been revived. 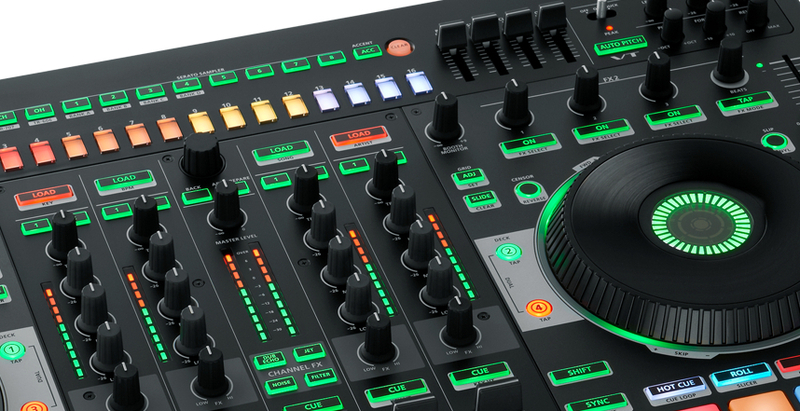 In 2014, Roland offered a new version as part of its AIRA line, the TB-3. However, its touch screen and glowing interface attracted criticism from many users for straying too far from the original TB-303 experience, namely the clear controls and CV/gate outs for connecting to older gear. 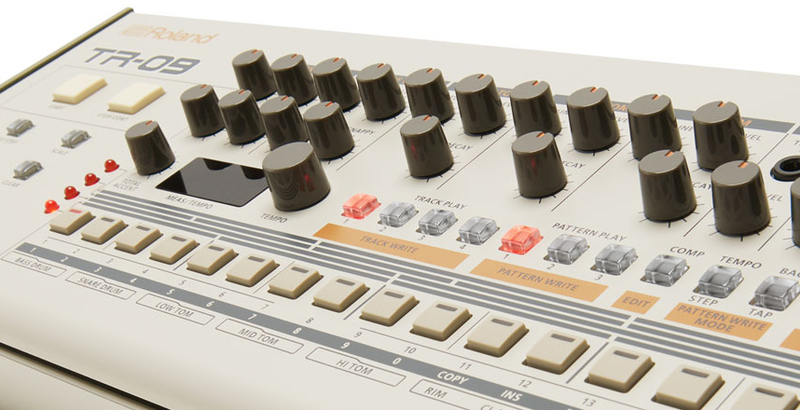 Unfortunately for purists, the TB-03 is another Roland device that uses digital technology to emulate an analog sound. But it does see the return of CV/gate outputs, which are perfect for plugging into the growing number of modular synths in the studios of professional and amateurs alike. If you’ve got an analog synth, then it might be worth buying for the sequencer alone; as Adams tells me, it’s been useful for playing classic 303-style patterns through his varied collection of synth modules. While Adams explains that that the sound of the TB-03 (and TR-09) sounds as good as the original models to his ears, if you want a genuine analog 303 sound then this update may not be for you. Cyclonic’s unofficial TT-303 Bass Bot recreation offers real analog sound, and costs much the same as the TB-03’s $349. Adams has been making presets for the TB-03 also, and just as his efforts for the TR-09 are “staccato, swingy beats” placed somewhere between grime and techno, his acid sounds are awkward and more weird. “I’ve tried not to make them sound like your average “house” acid lines, leaning towards a more modern style,” he says. “The way I’d use it.” This is probably the most exciting aspect of the new TB-03: the chance for contemporary producers to get their hands on a classic instrument and stretch its sound to strange new places. 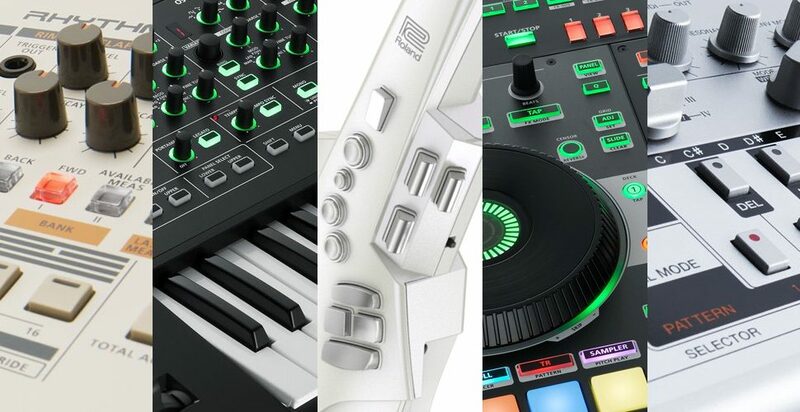 With all the noise surrounding the new TR-09 and TB-03, it’s easy to forget that Roland began reviving its classic brands back in 2014 with the AIRA range. 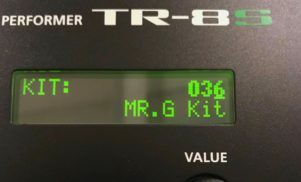 A lot of the line’s criticisms still stand, namely the sickly green glow and obvious cost-cutting measures, such as a lack of audio outputs on the TR-8 drum machine. But they did introduce one of the company’s most useful products: Plug-Out synths. Software synths that are designed work with the System-1 and 1m instruments, Plug-Outs have given producers to have the sound of classic models such as the SH-101 and System-100 in their studio, and remain a reason to consider the AIRA range now. Now Roland has a new synth to work with Plug-Out synths: the gigantic, eight-voice System-8, which comes loaded with two of Roland’s most loved instruments – the Jupiter-8 from 1981 and the Juno-106 from 1984. If you can see past the System-8’s digital nature, it looks like the best piece of AIRA gear yet. It’s got a velocity-sensitive keyboard, meaning it’s capable of expression the System-1’s cheap keyboard can’t manage. It also has CV/gate outs like the modular System-1m, so it’s made to work with vintage and modern analog hardware. 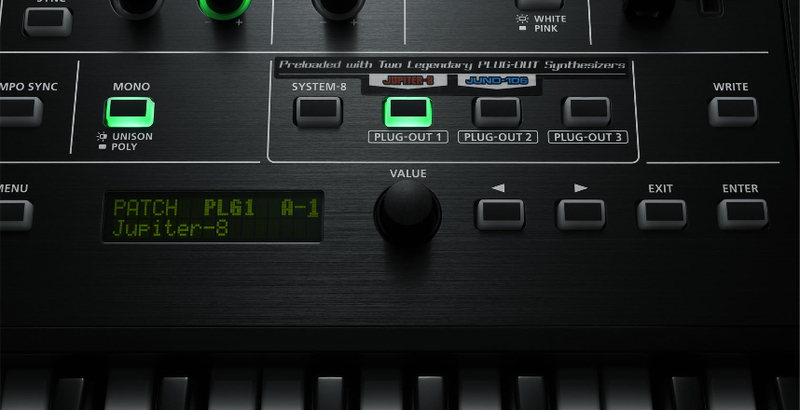 Probably the best addition – sorely lacking from its cheaper predecessors – is a 16-step sequencer. It’s polyphonic, so it can sequence chords rather than single-note patterns like the TB-03. The price is likely to put many people off. At an expected $1499, it’s closer to the price range of real analog synths from Arturia and Behringer, whose forthcoming DeepMind 12 is reportedly going to cost just $999. But if you’ve always coveted the Jupiter-8 and Juno-106, this is likely to be as close as you’ll get to the real thing – especially as it appears Roland has no interest in releasing real analog hardware like its competitors. Perhaps the knee-jerk criticism of Roland and Serato’s DJ-808 is unfair. It’s true that in the wrong hands a DJ controller with a built-in drum machine could sound worse than any vinyl trainwreck, but used by a skilled artist it could, as the companies claim, “change the way you create music.” In conjunction with the DJ-808’s sample pads and tempo lock, it’s not out of the question to suggest that footwork artists like DJ Spinn and DJ Earl – who were picked to demonstrate the controller – might be able to create spontaneous tracks mid-set with the aid of the drum machine. Footwork is almost nothing but samples and a drum machine rhythm, so the DJ-909 seems an ideal fit for those artists. It also allows you to easily connect Roland AIRA gear to add synths to the mix, so main stage EDM acts will probably love it too. But it’s the possibilities outside existing genres that are most exciting. The history of Roland gear – chiefly the TB-303 – has taught us that people like to try to get its equipment to do things it wasn’t intended for. Maybe people will squeeze dance music out of the DJ-808 we’ve not even imagined yet. The Aerophone AE-10 is one of the most unusual products to come from Roland’s workshop in its 44-year history. It’s a kind of electronic saxophone capable of imitating a number of other wind instruments, including clarinet, oboe and flute, and brass instruments such as the trumpet. If you want to create stranger sounds, it has synths built-in and even controls software instruments when connected to a DAW such as Ableton Live. Roland isn’t the first company to create a digital wind instrument. Akai has been making the EWI series for years, but Roland’s take on the concept is a little different. It’s shaped like a saxophone rather than a flute, and has built-in speakers. But if we’re being realistic, most people probably will just want one so they can start a Mos Eisley Cantina Band covers act.